Crane Fly Light , Autotogyro Trainer , For experienced pilots trying autogyros for the first time. Free detailed build PDF ,and live links to material suppliers. 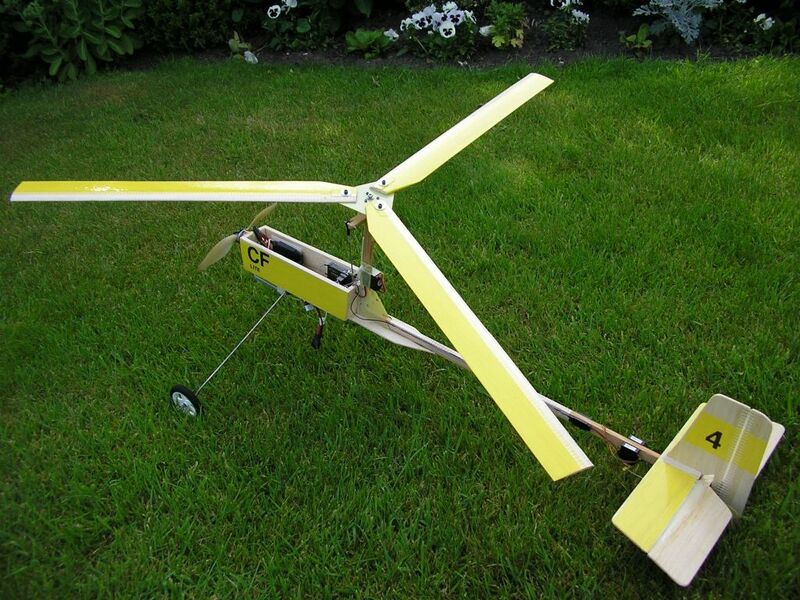 The Crane Fly Lite Auto gyro is an easy build and robust model designed to maximise the chances of successful first excursions into this type of single rotor machine . The design utilises unusual features such as very short mast ,and rotor control coupled with rudder to achieve very pleasant roll control characteristics. Builders wishing to cut build time to a minimum will be able to purchase custom made blades that are tried and tested ,look out on this thread for supplier contact details . The PDF can be obtained directly from HERE just at the bottom of the download list, or, PM your E MAIL to me to receive a copy . This new thread has been created exclusively for Crane Fly Lite builders other Crane Fly models have their own thread HERE . If you decide to have a go please say hello on this thread and, where possible, post accounts of progress,ask questions, and of course photos and videos are always welcome. The Crane Fly Light 34" rotor photographed against it's big brother the 84" rotor Crane Fly Giant . I will look forward to hearing how things go . 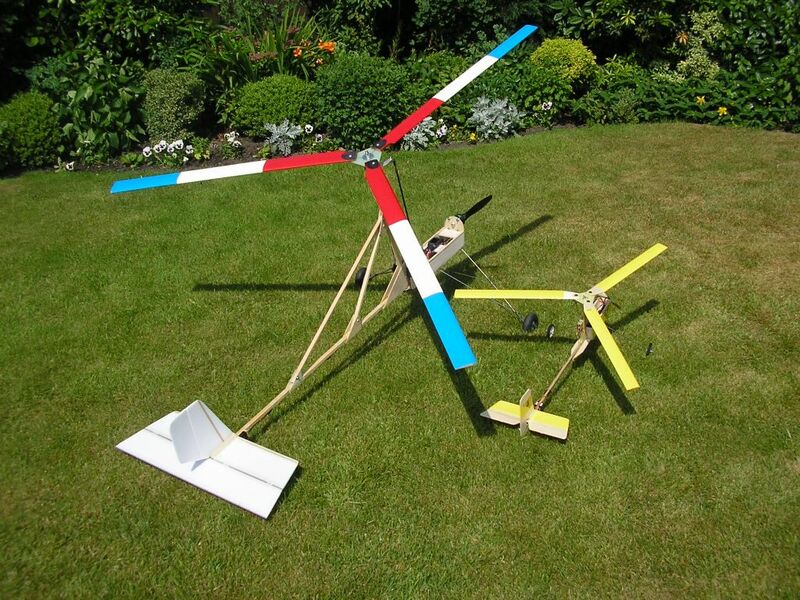 I am going to build one over the winter (I hope), you did send me the pdf of the original CF some time ago, but it looks too complicated for my building skills at the moment. Hi Tom, I have been busy on the computer and have ordered the CORRECT parts for my planned Crane fly lite. (I intend to make the head as per the plans this time!) How would a square carbon fibre tube go for the fuselage rather than wood? ( I have a light weight square carbon fibre tube in the garage, I don't have any spruce, but I do now know of a NZ source? Could you give more details on the use of hacksaw blades for the rotor head . This is a subject for the original Crane Fly thread . Don said he had trouble getting GF in the States for the CF SFH flex plate ,so he ended up using hack saw blades . I have no further information beyond his post and photos HERE . You could PM him for more details but although Don said the model flew well, I could not recommend this method for the CF Lite, as apparently a lot of trial and error took place before the correct compliance was achieved. I cannot see any problem using the carbon as long as the weight is not greater than the spruce . Also if any of you over seas guys have trouble getting hold of GF it may be possible to use 1/32" birch ply instead . As time allows I will build a CF Lite using ply and even try laminating two pieces to make a flex plate .IMHO nothing beats GF for strength, and durability ,but if over seas builders cannot get it easily, as we can in the UK, then other suitable materials need to be checked out . Thanks for the direct link to the CF Lite PDF it does save scrolling down the page. This is my prototype CF Lite ,you may notice that it has a split elevator ,were as the PDF version does not .This was done for simplicity in the final design CF Lite PDF . Hallo Tom, thank you very much indeed for the CraneFlyLite design and PDF. Congratulations to you and all those involved in the project. What's your secret? Is it a ten day week and forty eight hour days? Just a bit of midnight oil and lots of time at the field. .
Yours truly giving the CF Lite an airing . Definitely not a pain Terry , but for the benefit of all builders it's worth noting that if the model is built to plan then the cog, hang angle, and auw ,should be well within limits . The target auw is 15 - 18 ozs , Hang angle 13 - 17 degrees . Figures based on 1 - 1.3 A Lipo . Building a centre gap elevator and extending the fin / rudder lower, is fine. But ! under no circumstances should elevator and rudder control rods be positioned above the rear boom bottom.and the two rear boom mounted servos sizes should not be increased above 4.7 grm each. The generous nose length, is employed to avoid adding dead weight ballast . The mast angle when considered within the context of a roll only head, determines the "sit " angle in the air , the amount of nose length required to get the required hang angle and, when added to the to the ground "sit" angle created by the height of the under carriage, the resultant value in degrees is used to determine wether or not the model will rog. The hang angle is a trim variable that can be adjusted within the stated upper and lower limits .As you know very lightly loaded fixed wing models will often return best LD with the cog well back from the norm, 45 - 55 % is not unusual . Very lightly loaded auto gyros such as the "Lite" are not usually critical within the the values given ,this also applies to the CF SFH . I have found that very low hang angles can result in poor directional stability at higher alpha angles , but this can also be related to fin area and fin fin blanking. Also the behaviour of the rotor at high alpha at different speeds can cause off trim roll excursions that could be taken as a problem with directional stability . The CF Lite design attempts to address these potential issues so that it's really just a matter of establishing correct roll trim,and power settings for slow cruise. Thanks David , this one is very much a joint effort ,with Malcolm heading up the work on the graphics, and drawings. 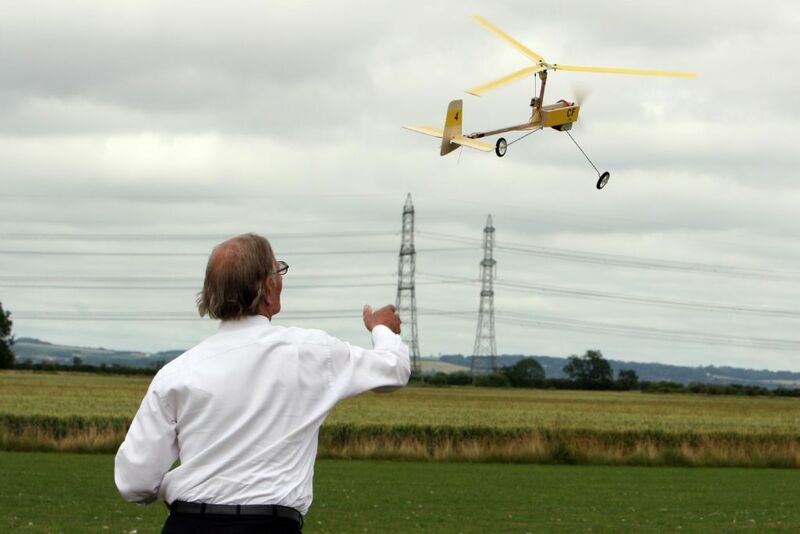 All Forum Topics > Autogyros > Crane Fly Light , Autotogyro Trainer , For experienced pilots trying autogyros for the first time.